Re10 is General Data Protection Regulation (GDPR) compliant. As one of the leading Personal Insolvency companies in the UK, Re10 employs some of the most skilled and experienced people in the market. We pride ourselves on how we treat our customers. Protecting your privacy is a legal requirement, and your trust is very important to us. This privacy statement explains how Re10 collects personal data from you, and how we will use and store this information. After you have made you initial application/enquiry, if you also decide to go ahead with any of the products or services that we offer, we explain below how we will also process your data when we provide that particular product(s) or service(s). Where we are providing you with a debt solution, such as an Individual Voluntary Arrangement (IVA) or with claims management services or any other financial services solution, we will process your personal information to administer the services we provide. This may include contacting you where we may need further information, or sending you updates on the progress of the services we provide to you. Where we provide ongoing services, we will normally require you to agree to the terms and conditions of the debt solution or service. These will set out how we will provide the services to you and where we will be required, under the terms and conditions, to process your personal information. For example, we would need to share your information with your creditors to enable us to set up and administer an Individual Voluntary Arrangement. If you enter into an Individual Voluntary Arrangement (IVA), it will be provided by Re10 (Finance) Limited. The information below specifically explains how and why your personal data will be used so that the services can be provided to you. Personal & Financial Details: Your date of birth, gender, any previous names that you were known by, your living arrangements, employment details, details of any dependants, creditor details (including the names of your creditors, reference numbers and balances) and your payment information. We need this so that we can decide whether an IVA is appropriate for you and so that we can draft and send a proposal to your creditors. Once you enter into an IVA, we need this information to ensure that we can collect payments and take any changes in circumstances into consideration when administering the IVA. The Insolvency Service: If your IVA is accepted then details of about you and your IVA will be recorded on the Insolvency Register which is accessible by the public. The information we share includes your name, gender, date of birth and address. We have a legal obligation to supply this information. •	Vision Blue, a case management system. •	Insol Technologies Limited, a platform for sharing information with creditors.  • Feefo, who administer feedback requests concerning the quality of the service we provide to you. •	Secure Bank, a payment processor. •	Telephony companies, so we can communicate with you. •	External printing company, who print correspondence that we send to you. If you become our customer by entering a debt solution, we will keep your data to ensure that we provide you with our services and comply with our legal and regulatory obligations. Your data will be stored for 6 years from the date that we cease to provide you with our services. We cannot delete this data if you ask us to because we are required to keep it by law. We will delete your data after the 6 year period. After this time, we will delete the information or anonymise the data so that it cannot be linked back to you. We will only collect information that we actually need, or where we are required to collect the information to enable us to perform our legal, regulatory or contractual obligations necessary to provide you with the products or services, or where we have your permission. However, if you don’t want us to profile your personal information in this way, to then better enable us to tailor any marketing communications to you, you can contact us to let us know that you wish for your personal data not to be used in this way. The personal information we have collected from you may be shared with law enforcement agencies and fraud prevention agencies who will use it to prevent fraud, money-laundering and terrorist financing and to verify your identity. If fraud is detected, you could be refused certain services, finance or employment. Further details of how your information is used by us and these fraud prevention agencies, and your data protection rights, can be found by contacting us or email us at customerservices@re10.org.uk. If you do not go ahead with any product or service offered by us, your personal information will normally be deleted after 2 years unless we have another reason to keep your data, for example, if you have given your consent to receive marketing or promotional messages from us. You can easily let us know at any time if you would no longer like to receive these messages. You can contact us using the details below, emailing us at customerservices@re10.org.uk or unsubscribing using the link or information within the message. We may record some of the telephone calls you make to us or we make to you or any other third party. This is for training, monitoring and quality purposes and to meet our legal and regulatory obligations. Some telephone calls may be observed by staff for training and development purposes. We analyse it to determine what is most useful about our website, to help us identify ways to improve it. We use it to find out things such as the number of visitors to the site, the pages they visited, where they came to the site from, the numbers of downloads of documents from the site, etc. This information is then used to compile general traffic analysis and statistical reports.